Main Description A very spacious three-bedroom, semi-detached family home located in Bishops Itchington. With lots of space internally and beautiful countryside views this home has lots to offer it’s next owners. Entering the home, you are welcomed into a front entrance hall, which leads through to the very spacious lounge that has a working open fire. This generous proportioned room is flooded with natural light owing to the patio doors at the rear of the room that lead out into the garden. From the lounge a door leads into the dining room which offers the perfect space for entertaining guests. Leading to the rear of the property is a study, with pleasant views overlooking the rear garden, this room would also lend itself to a great play room. The family kitchen is situated towards the front of the home and is a large and bright room. With a range of wall and base units there is ample space for additional undercounter white goods. There is also a convenient downstairs toilet. 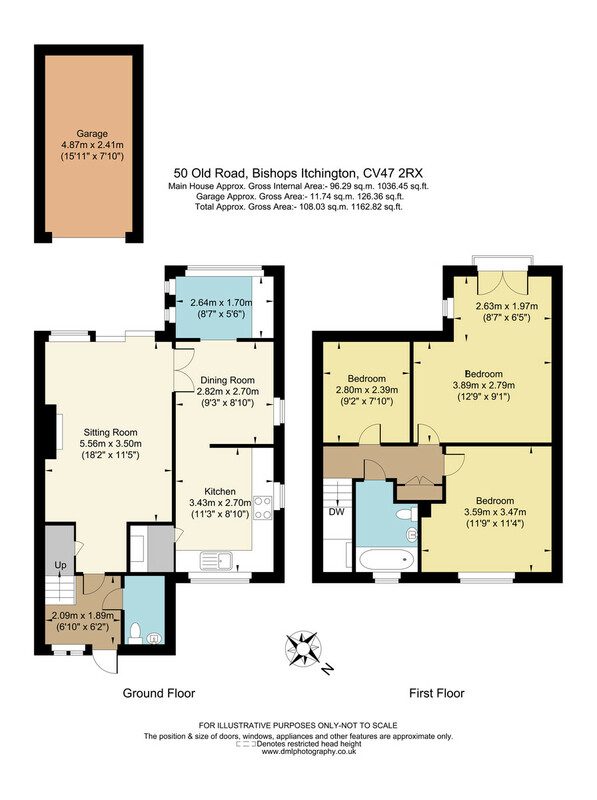 Upstairs briefly comprises of three bedrooms and a family bathroom. The master bedroom has been extended to offer a spacious room and dressing area with views both over the rear garden and of the rolling South Warwickshire countryside. The second bedroom is a good- sized double room with lots of wardrobe space and the third is a generous single room. The bathroom is a fully fitted, modern suite with a shower over the bath. Outside there is a well-presented garden with a patio area, mature borders and a manicured lawn. This tranquil haven overlooks stretches of countryside and is the perfect private retreat. This lovely home also benefits from a garage, large front garden, double glazing throughout, a wealth of amenities on it’s doorstep and good road links nearby.